Terence Doyle was born in the Bronx, New York in 1954. His parents were Francis and Patrick Doyle, a famous crime reporter in Manhattan. He grew up in the suburbs of New Jersey and spent the summers and many weekends at his grandfather’s cabin in New York State. In 1964 he was given some tools and pamphlets on taxidermy for Christmas. For the next 14 years he practiced mounting small animals, birds and fish in his spare time. After graduating from Bergen Catholic H. S. in Oradell, N.J., he attended Paul Smith’s College in the Adirondack Mountains of N.Y. State, majoring in Forestry. Moving west, in 1975, he attended Colorado State University, majoring in Fisheries Biology. But, because of no job opportunities in that field, he decided to become a full time taxidermist in 1978. At this time he began sculpting life size animals out of wire and excelsior (a straw like substance) instead of buying pre made manikins from taxidermy supply companies. In 1984, lured by the hunting and fishing opportunities, Terry moved to Turangi, New Zealand – the “Trout Fishing Capitol of the World”. In 1985, his fiancée, Jayme McLean, and he were swept out into the ocean while swimming. Miraculously, he survived after an epic struggle, but Jayme died. Devastated, he moved back to Colorado and decided to create The International Endangered Wildlife Museum, to be located in Aspen. After getting a 501©3 non-profit status designation from the I.R.S., he persuaded world-class artists, zoos, scientists and government officials to help make the dream a reality. But after 7 years of voluntary work and few donations, in 1993, Terry was forced to give up that dream. In 1995, he started painting with oils and decided to combine fish taxidermy (reproductions) with paintings in 1996 and created the first “Breaking Through” piece of art. 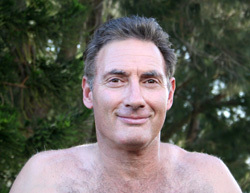 In 2000 Terry moved to Hawaii and settled in Maui in 2002. In 2003, he began experimenting with salt water fish sculptures, made out of steel and resin and in 2005 created the first, combined, fish sculpture and painting, called “Traveling Trout”. He continues creating art pieces that explore going from 2 dimensional paintings to 3 dimensional sculptures.